“The latest groundbreaking tome from Tim Ferriss, the #1 New York Times best-selling author of The 4-Hour Workweek . UPDATE: We are happy to announce that we will now be hosting this event at Central Library on FRIDAY 9th DECEMBER at 1PM. Thank you for your patience! For all of us who are curious about the process of writing and want to know more about what comes next for writers and sometimes takes many years before we can find those labours of love on our library shelves, we have invited author and 2017 Burns Fellow Craig Cliff together with Mākaro Press publisher and author Mary McCallum to join us at the Central Library. They will be discussing how the editing and publishing process works drawing on their own experiences. Craig Cliff, author of A Man Melting: Short stories and The Mannequin Makers will be the Robert Burns Fellow at Otago University in 2017. He hopes to be as prolific as he was in 2008, when he set himself the goal of writing a million words in a year (and blogged about it at www.yearofamillionwords.blogspot.com). He only wrote 800,767 words in the end, some of which can be found in his short story collection, A Man Melting, which won Best First Book in the 2011 Commonwealth Writer’s Prize. His novel, The Mannequin Makers (2013), has been translated into Romanian and will come out in the U.S. next year. Mary McCallum is an author turned publisher. 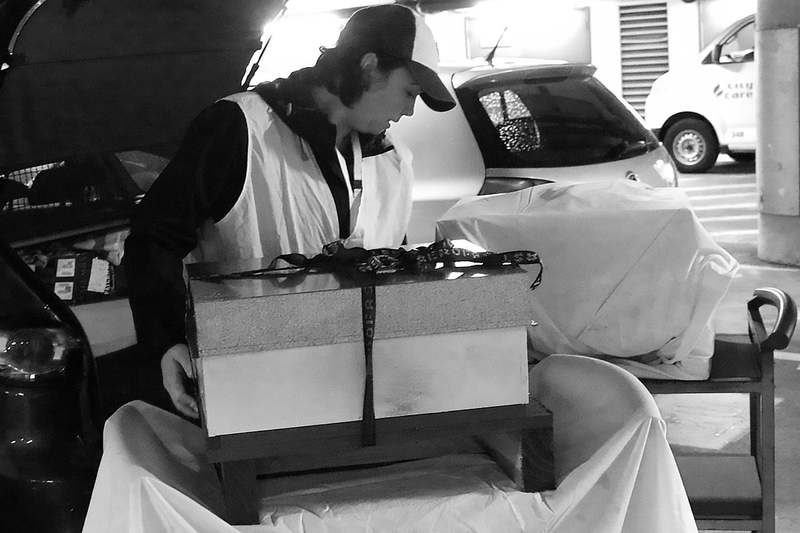 She started up Mākaro Press in Wellington over three years ago and has already published 50 titles, mainly poetry and fiction, and some non-fiction including memoirs. Six titles have already been shortlisted for major awards. Mary is also the author of the award-winning, The Blue (Penguin 2007), a children’s novel Dappled Annie and the Tigrish (Gecko 2014) and a chapbook of poetry The Tenderness of Light. Mary has reviewed books on National Radio for nearly 15 years, and has worked as a bookseller, creative writing tutor, broadcast journalist and TV presenter. Eastbourne: 100 years was published in 2006 and includes one of McCallum’s essays. Fight pain and regain health through a blend of strength and flexibility with this month’s selection. Get the latest edition of the New Zealand First Aid handbook, just in case… and reflect on the history and scope of modern medicine with the definitive illustrated doorstopper. The New Zealand first aid handbook. Times of crisis trigger stress and fear in the face of events we have no control over. This month’s books will inspire to find the power AND emotional agility within to help you not only cope with life’s trials but to thrive. Happiness and other small things of absolute importance / Haim Shapira ; translated from the Hebrew by Baruch Gefen. They are here! 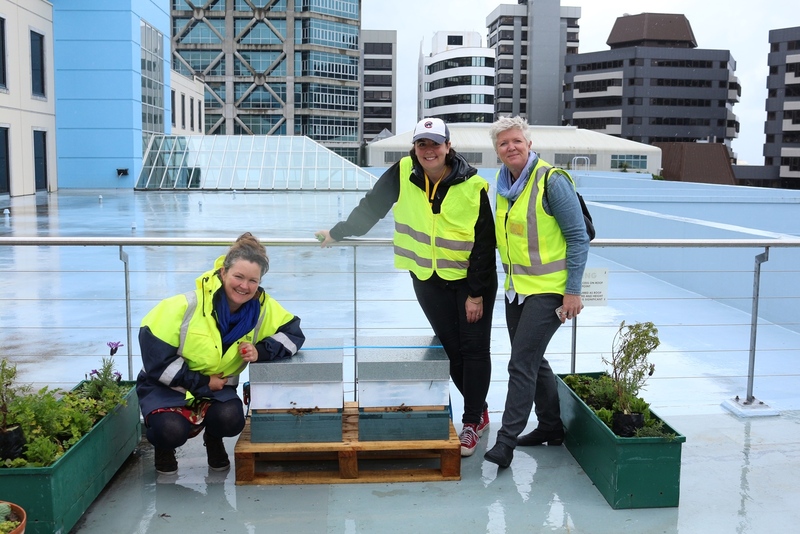 You probably read about our new resident bees up on the rooftop of the Central Library. 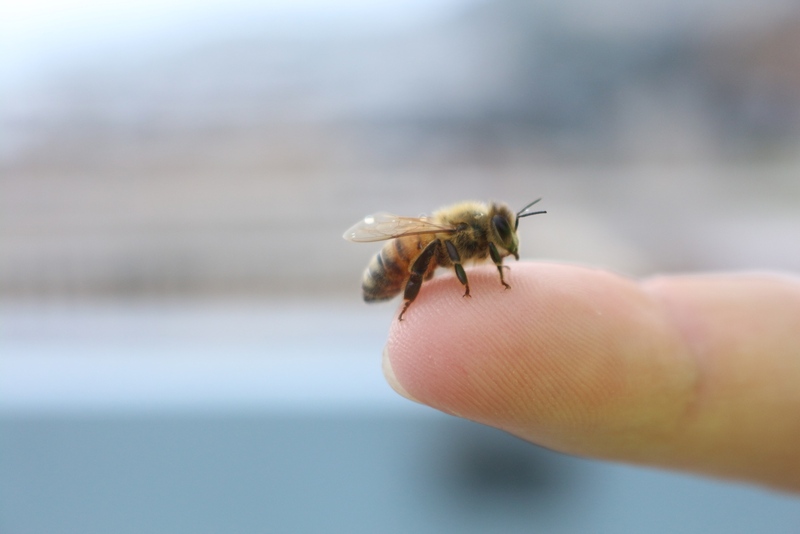 Here are a few “behind the scenes” photos we took as we brought the bees in. 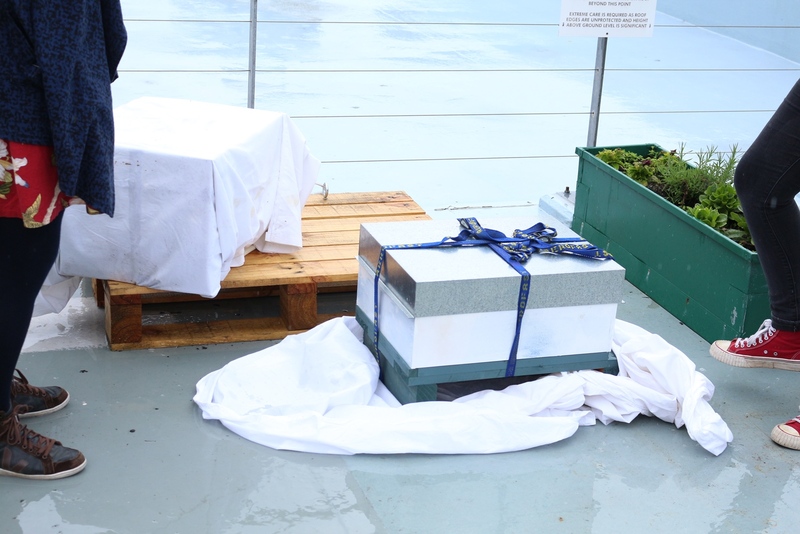 The bees arrived in the boot of a car, tightly strapped and wrapped, making their way up the library rooftop on library trolleys… They are library bees after all! 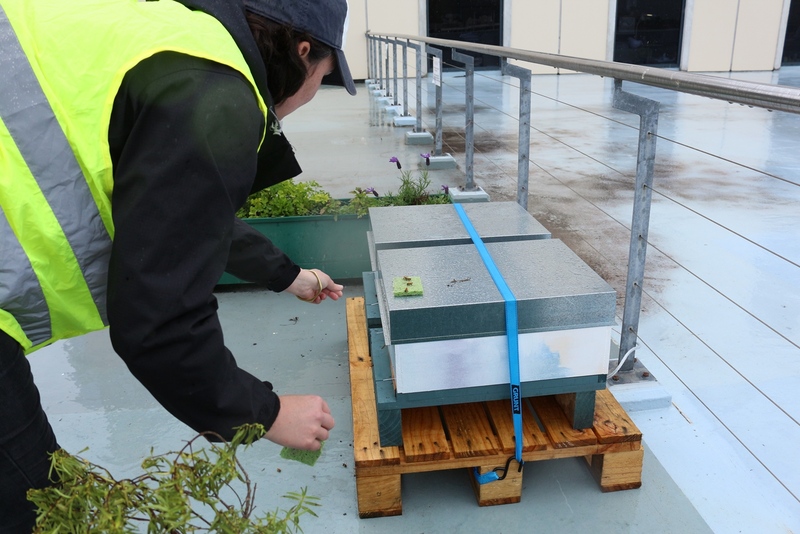 The hives were secured to pallets we had installed some weeks before. Their little doorways were opened. It was very exciting to watch the first bee come out of the mysterious wooden boxes we had been peering at! 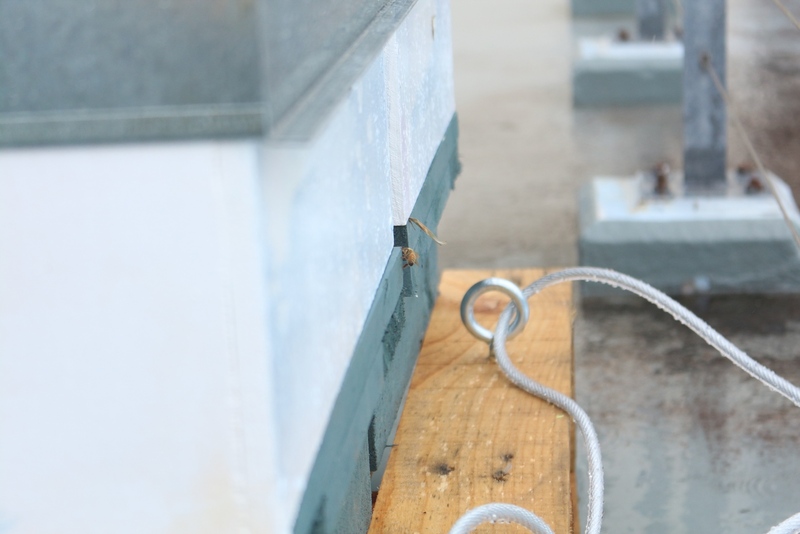 As Cenna was watching her brood anxiously, more or more bees came out and discovered their new environment. 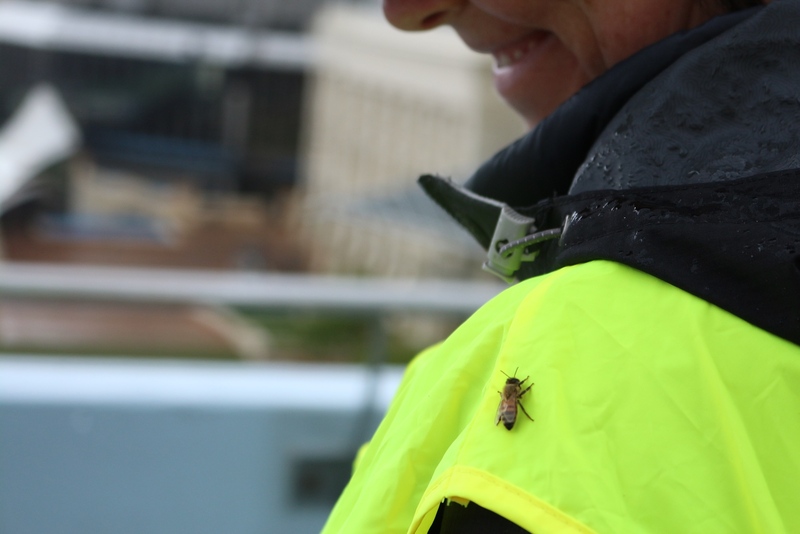 Some bees landed on our shoulders as if to say hi. 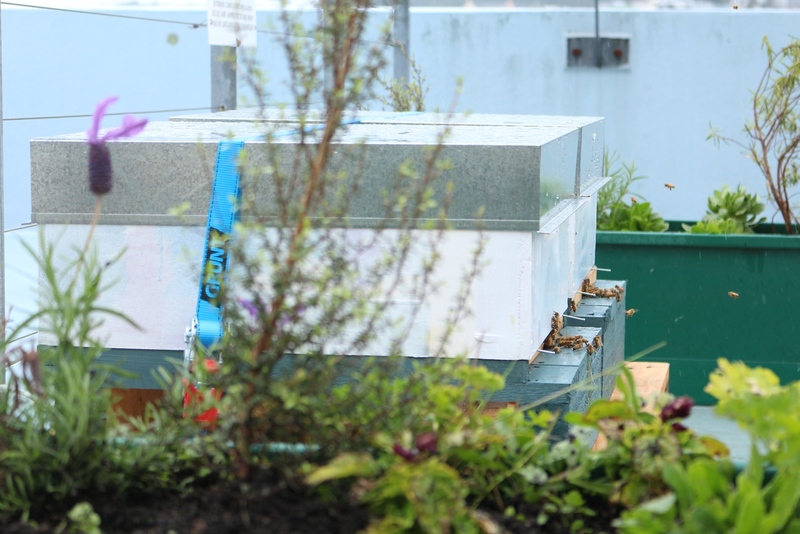 The weather wasn’t great but everything went well and we came back to very active and happy bees a few days later. 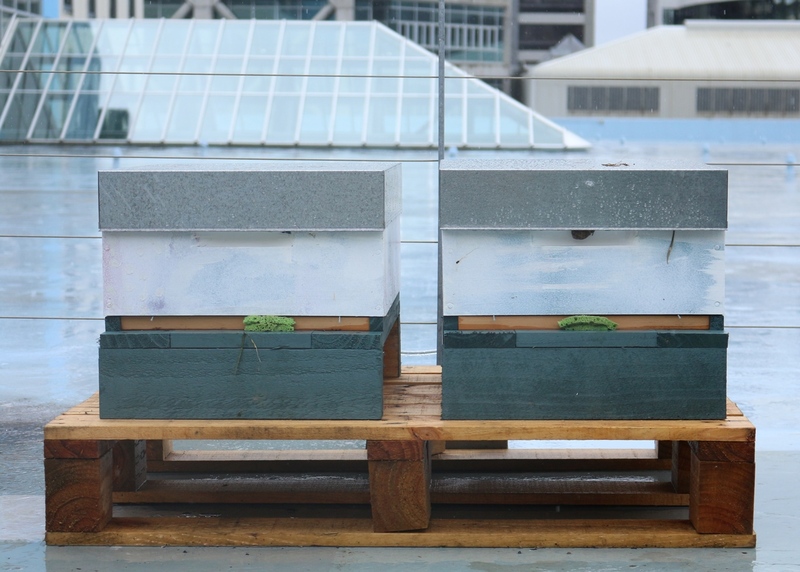 After months of preparations, we could finally celebrate the arrival of our new residents! Due to the recent earthquakes that have affected the region, this event is now cancelled. An alternative date will be announced in the next few days. Please keep checking our website for updated information. We apologise for the inconvenience and hope you can join us in a few weeks time. Thank you for your understanding. To celebrate the art of writing during this Novel Writing Month and to inspire those of us who are taking part in this year’s Nanowrimo challenge, but also all of us who are curious about the process of writing and want to know more about what comes next for writers and sometimes takes many years before we can find those labours of love on our library shelves, we have invited author and 2017 Burns Fellow Craig Cliff together with Mākaro Press publisher and author Mary McCallum to join us on Wednesday 16 November at 6pm at the Central Library. They will be discussing how the editing and publishing process works drawing on their own experiences. 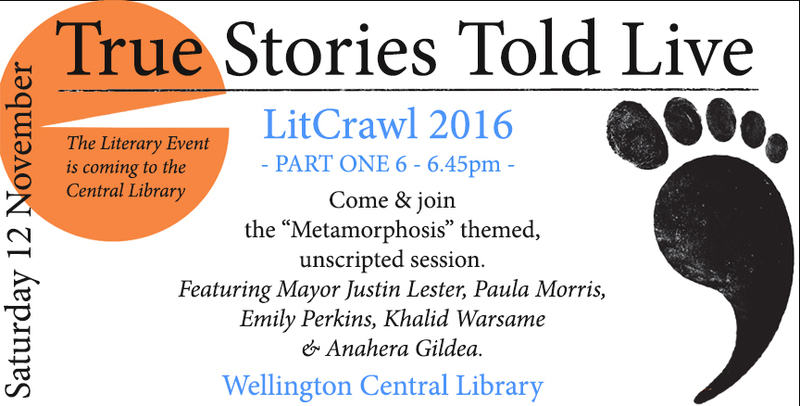 LITCRAWL is a celebration of new works of literature by over 100 writers; local, national and international. 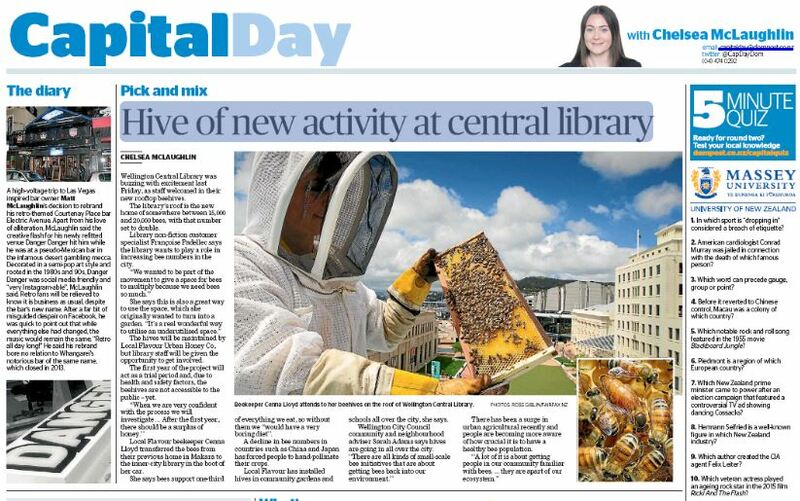 It’s held in twenty of Wellington’s best loved venues, from tiny book stores to the large space of the Central Library. Intimate. Real. Anything goes. 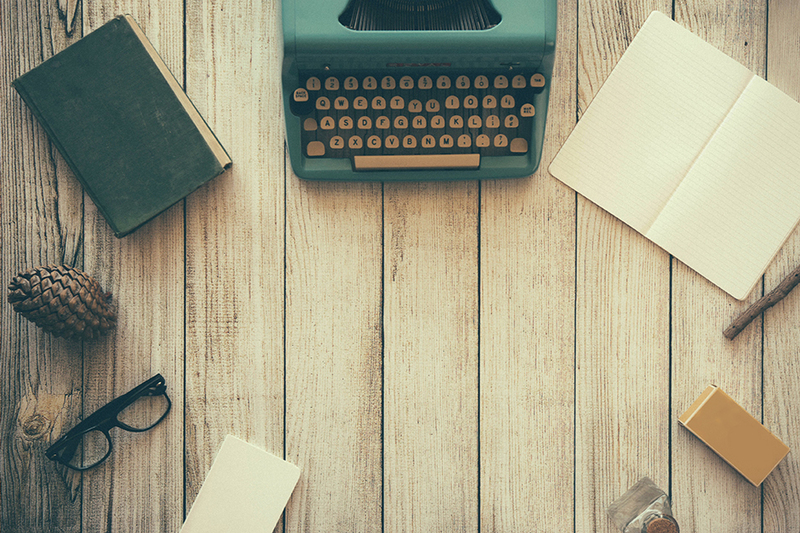 The writers step across the threshold and go unscripted and unsupported by notes, lecterns or audio-visual equipment. This is storytelling at its unabashed best. Come and witness unique stories on the theme of ‘metamorphosis’ as they are shaped in the moment. Featuring Mayor Justin Lester, Paula Morris, Emily Perkins, Khalid Warsame and Anahera Gildea. In partnership with the New Zealand Book Council. Combatting or understanding? Which way is most effective to overcome our pains, anxieties and ailments? Here are some titles that will give you insight into our complex bodies and minds.